celebrate the accomplishments of Rob Casey & Joe Hentges at January 30th event. Farmers do many things for our local community, including providing food to eat, employing local staff, and contributing to local revenue, but some are recently are taking on one more role: protecting our lakes and waters. On January 30th, two farmers were recognized by the Prior Lake-Spring Lake Watershed District and the Farmer-Led Council for doing an outstanding job of managing their farms in a way that protects the water resources in the Prior Lake-Spring Lake Watershed District. The two Lake-Friendly Farm award recipients, Rob Casey and Joe Hentges, have installed many best management practices on their fields that go above-and-beyond what you normally might see, such as installing cover crops, doing contour farming, installing buffers and filter strips, installing inlet protections, and applying nutrients in a way that reduces nutrient runoff. 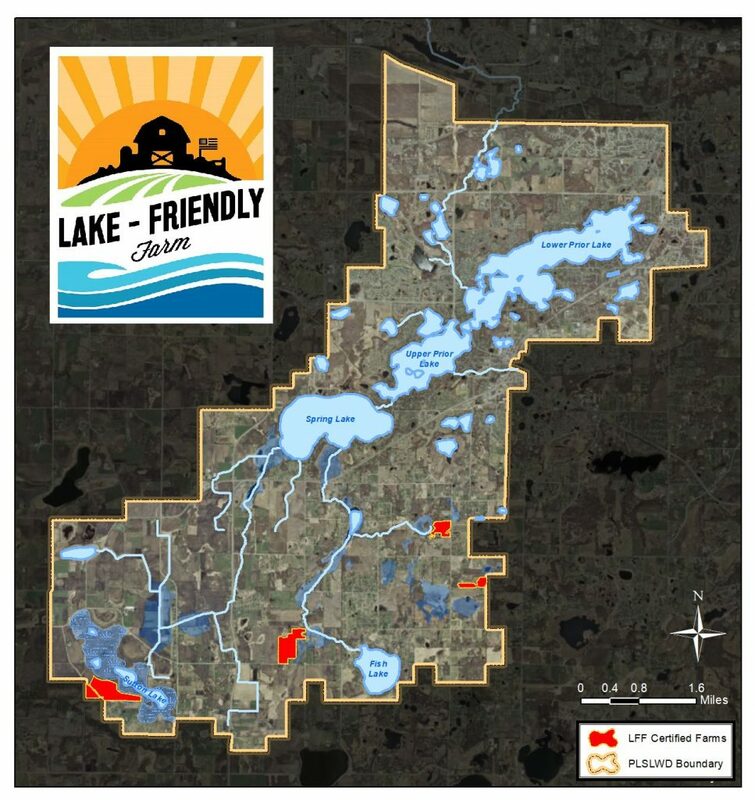 They are leading by example in the watershed and are the first to be certified into the District’s Lake-Friendly Farm Program. “We are very fortunate to have such strong leaders and innovators on the Farmer-Led Council, paving the way for others to follow, not only in our watershed, but in the larger County area. 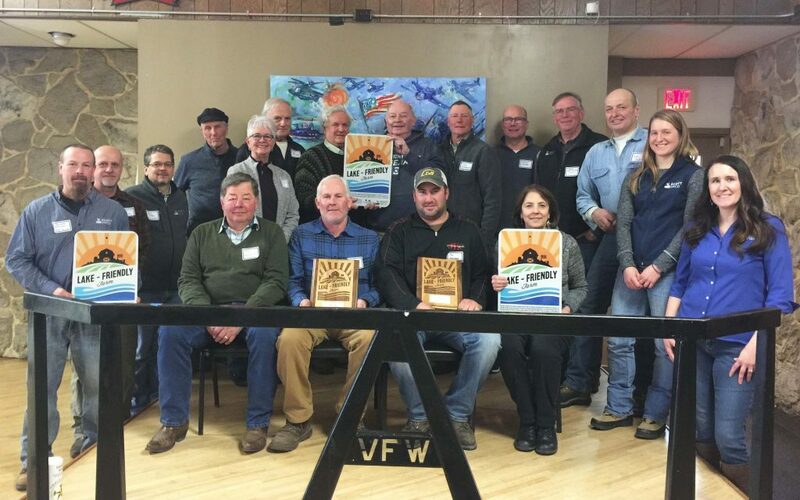 The Watershed District thanks Rob Casey and Joe Hentges for their outstanding efforts, as well as the other farmers on the Farmer-Led Council that helped this program be a success.” – Fred Corrigan, PLSLWD Board President.